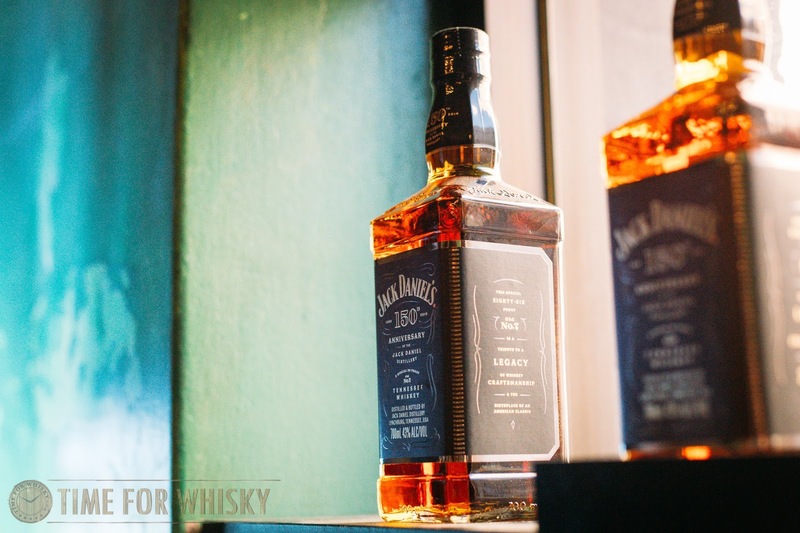 2016 is a special year for Jack Daniel's as it marks the 150th anniversary of the distillery. To help lead the birthday celebrations across Australia, Chris Fletcher; Jack Daniel's Assistant Master Distiller joined fellow Jack Daniel's fans and lovers alike to raise a toast to the milestone. Having travelled all the way from Lynchburg, Tennessee, Chris (the grandson of Frank Bobo; the distillery's fifth Master Distiller) shared stories that shaped the Jack Daniel's we all know and love today. This being Chris' first visit to Australia made all the celebrations even more special. The birthday celebration in Sydney was part of a series of events that formed Chris' Australian tour and took place at Hotel Harry in Surry Hills where Chris led guests through a special tasting masterclass as well as through a series of clever and interactive theatrics that brought the Jack Daniel's stories to life. 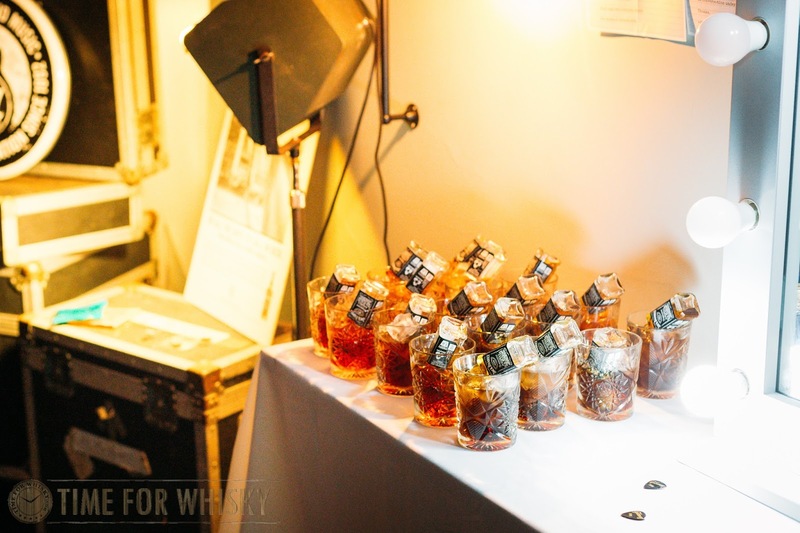 The celebration kicked off with a masterclass that included a couple of Jack Daniel's new makes along with traditional Jack Daniel's expressions such as the Old No 7, Gentleman Jack and Single Barrel expressions. The new makes were put into the mix to showcase the concept of "charcoal mellowing" - a distinct process used by Jack Daniel's to transform their whiskey into the renowned Tennessee whiskey. 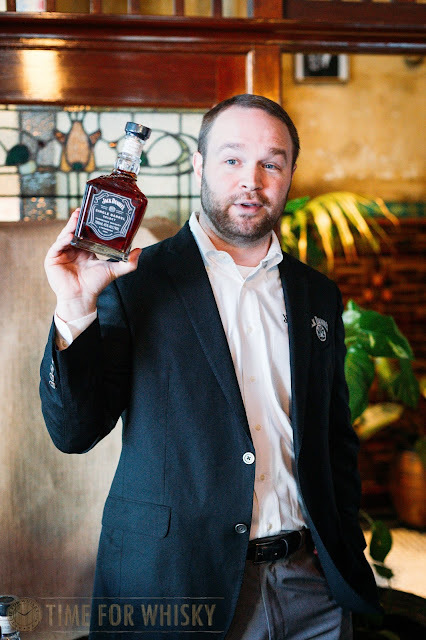 Charcoal mellowing was what Chris highlighted as a key differentiator between how a bourbon whiskey and a Tennessee whiskey (in the case of Jack) is made. The process of taking the new make off the still and into 10 feet of hard packed maple charcoal over a sixty day period is what removes the hard and harsh notes from the Jack Daniel's new make. We could easily compare and contrast the subtle differences between the pre and post-charcoal mellowed new make - the post charcoal-mellowed new make was a lot less viscous, oily and bitter. As Chris continued with the masterclass, a man dressed in his pyjamas with a giant briefcase in one hand interrupted the session. 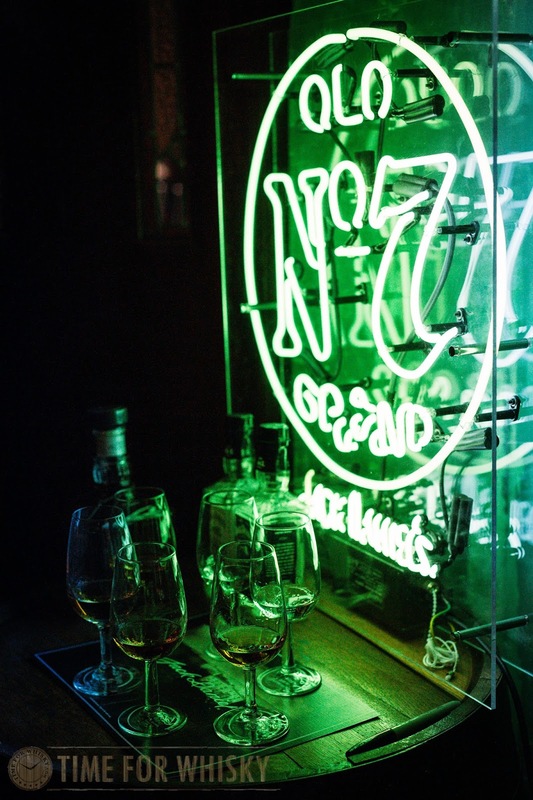 He looked around the room, which by now was filled with puzzled faces, and with a spare glass of Old No 7 in one hand, started to share his story. 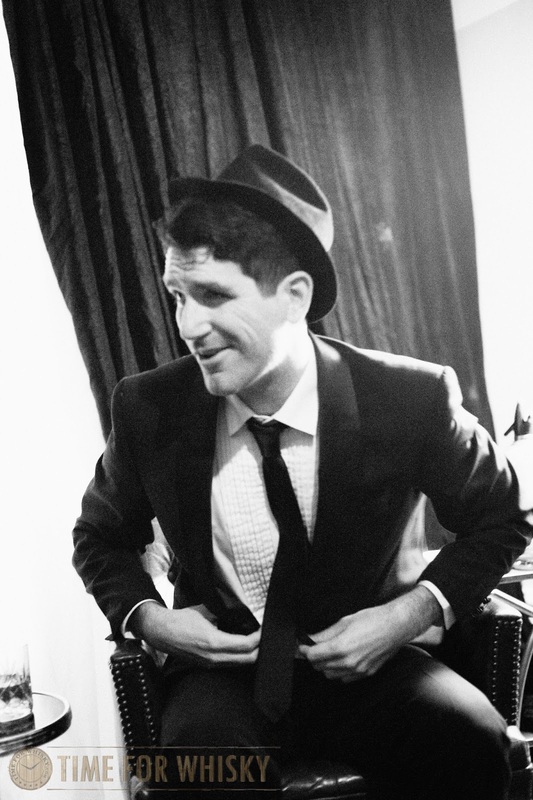 He spoke of stories from the past, from when he was younger, from when he was a famous bootlegger in the 1920s. As he narrated his story, everyone eased, knowing that he was simply part of the celebration. A short while after, he asked for all the guests in the room to follow him up the stairs. As we climbed the stairs, we could hear a voice from one of the rooms calling out "White coffee with one sugar, that's how I like it". In the room was the younger version of the bootlegger. 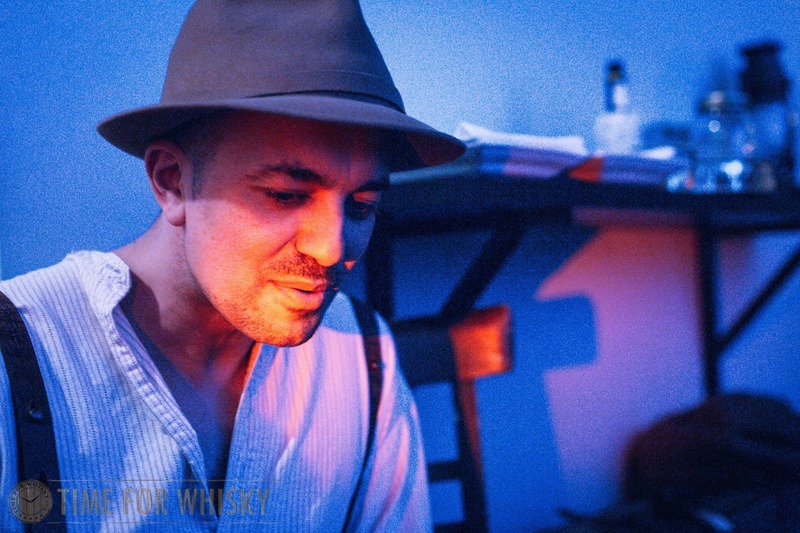 Entering the room, it felt like we 'd all been transported from 2016 through to the early 19th century, the era in which the young bootlegger grew up in. The young bootlegger explained that he was looking for an assistant to help him - as a master taster; a taster of the fine Tennessee whisky he was bootlegging. Everyone was asked to scour the different milk jars around the room - the first person to locate Jack Daniel's in one of the jars was to become his assistant. One of the guests; Tony from Brisbane successfully found the jar, not through nosing the jar but through deciphering the codes that were printed on the tags of the jars. Clever find. Stuart Reeves of Brown Forman got into character as the bootlegger's partner and brought Tony to the side to teach him the old way that whisk(e)y cocktails were made. Stuart spoke to how an Old Fashioned was made in the 1920s. Fortunately, nothing since - sugar, whiskey and bitters still being the prominent ingredients for the old cocktail. Following the short cocktail demo, guests were ushered by the old bootlegger into another room. Walking into the room, one could see a fine leather chair, crystal tumblers and suave settings. Oh, and there was also Frank Sinatra and his assistant. Frank was in the room, sitting comfortably on his lounge with a glass of whiskey on hand. The Frank Sinatra feature was to celebrate the recent Jack Daniel's Sinatra Select release. 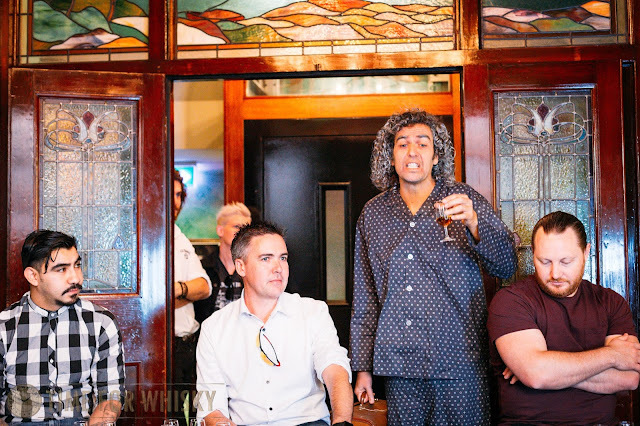 Following a brief demonstration of how to pour a Jack Frank's way, Frank proceeded to sing to the room before our old bootlegger mate ushered us all into the final room. The final room looked bright and raw. It was backstage with a rockstar duo. Jack Daniel's and Coke cocktails were lined up on the side and the rockstars spoke to the room, asking everyone for suggestions on their rock band name. Guests suggested various names from "The Bootleggers" to "Single Barrels" -- all fitting names. We were all given a Jack Daniel's and Coke cocktail before heading downstairs for the final wrap up session. Chris Fletcher recapped the memorable two hours and spoke to how he selected something special for Australia. 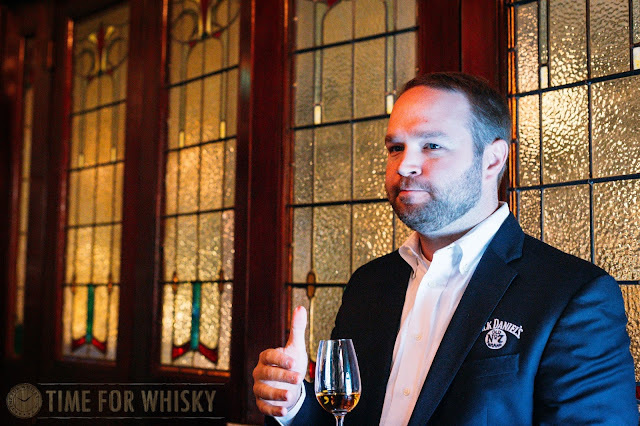 He wanted to leave a memorable Jack with all the guests - a special Single Barrel Select selected by Chris from the distillery that is rich, bold and full of character -- attributes he believed represented Australia. The 150th anniversary celebration of the Jack Daniel distillery in Sydney was phenomenal and innovative. The theatrics, setup and all the different elements brought alive the history of Jack Daniel's a history that traversed the prohibition era, Frank Sinatra's era and the era from which rock was born. All in all, the celebration was brilliantly put together and and with Chris Fletcher at the helm of the celebration, was certainly true to Jack's guiding belief that "Every day we make it, we'll make it the best we can." 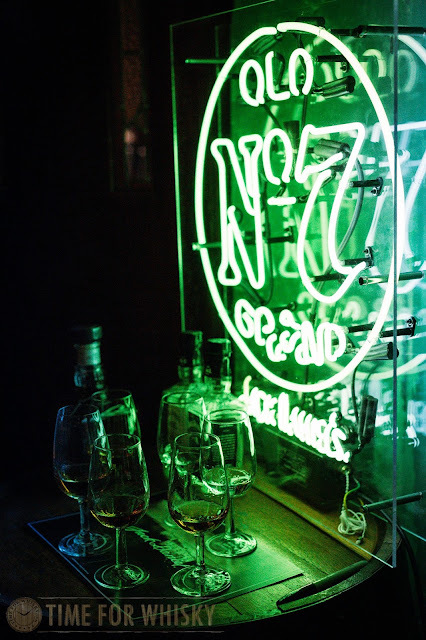 TimeforWhisky.com would like to thank Jack Daniel's and Celia Harding of The Sound Campaign for the invite to this fantastic event.